The primacy of war aims, which are, unfortunately, often fuzzy and mutable. The different levels of strategy, including the grand strategic, theater, operational, tactical, and technical levels. The cycle of measure and counter-measure. The critical difference between leverage and power. The Maoist strategy for insurgency. The Leninist strategy for insurgency. The best way to see how counterinsurgency and conventional warfare differ is to summarize their different strategies, side by side, at each level of strategy. Grand strategy Use the threat or application of force to protect core national interests, and in other scenarios only when strictly necessary. Threaten violence wherever possible, while keeping a careful eye on how a particular incident hurts or enhances the credibility of future threats. Fight wars where needed, using pre-positioned forces or strategic "lift" capability to bring overwhelming force into the theater of operations. Support regimes under attack from guerrilla movements when these peripheral conflicts directly or indirectly threaten core interests. Given the unpredictability and opacity of politics within a country or region, understand that it may be impossible to ignore these threats, even when the relationship to core interests appears very indirect. Frugally invest a small effort in a large number of countries to improve the probability that these investments in toto will prevent threats from nibbling away at the edges of the core interests. Theater Keep the political objective clear and diplomatic channels open, but leave operational control in the hands of military commanders. End the enemy's resistance by seizing important geographical objectives, destroying the economic capacity to sustain the fight, and destroying the enemy's military. Alternately, destroy the enemy's willingness to fight, so that victory can be achieved faster than total conquest would require. Break down these objectives into smaller pieces for operational-level commanders to pursue. To accelerate the timetable for victory and reduce losses, bring overwhelming force to bear, either at the center of gravity or at a point of weakness. Work with allies to improve the military power available in the theater of operations. Bypass potential objectives if they're not required to strike at the real center of gravity. Keep a unified military command subordinate to the unified civilian leadership. Deploy military, economic, and other forms of assistance to keep an allied regime from falling. If and when it becomes possible, move to the offensive, defeating the guerrillas politically and militarily. Preserve the leverage needed to persuade an allied regime to take the right political, administrative, economic, and security measures, even if allied leaders are reluctant to do so. Keep the investment large enough to get the job done, but not so large that the great power assumes more responsibility for the conflict than its ally. Plan for a long campaign, since the timetable for counterinsurgency is always by necessity lengthy. Focus on a succession of regions (or enclaves), moving to the next one only when the current target are secured. Give control over civilian and military activities to a single authority. Operational Achieve the objectives set at the theater level through the most efficient use of the largest amount of force possible. Define smaller-scale successes that cumulatively achieve the larger objective: for example, if the geographic objective is a city, seize the outskirts, close off the enemy's avenues of support and retreat, and then advance neighborhood by neighborhood through the city itself. Maintain the hierarchical chain of command needed for efficient military operations. Coordinate ground, naval, and air forces, while keeping operational control of all three in the hands of the great power's military commanders. Use the indirect approach and other military measures to keep the initiative on the battlefield. Expect the enemy to develop military responses to your strategy primarily at the military level, and to a lesser degree on the diplomatic and political planes. Use security forces to police a given enclave. As soon as security is established, use a mix of intelligence gathering, local development programs, administrative and political reforms, police and military patrols, and all other methods needed to separate guerrillas from their base of support in the population. Ensure that these changes will last after the counterinsurgency effort moves to the next enclave. Keep population security the top priority, to which the destruction of the guerrilla army is subordinate. Coordinate civilian and military actions, with an eye to giving the allied regime increasing responsibility and control over both aspects of the campaign. Mix civilian and military roles, as needed. Since military assets are finite, train and equip local defense units to take over population security once the regular military moves to the next enclave. Break down military activities into team-, squad-, platoon-, or company-sized operations. Devolve operational control down to this small-unit level. Use indirect, unexpected political and military means to rob the guerrillas of their most important tool of survival, the political initiative. Expect the enemy to evolve responses to your strategy at the political and military planes of conflict. Tactical Unleash all types of specialized units—infantry, tanks, artillery, fighters, strategic bombers, etc.—to use the maximum amount of firepower at their disposal, in the fashion in which they have been trained. Use intelligence assets (mostly signal intelligence in modern warfare) to identify enemy formations. Use the great power's military units in place of an ally's whenever critical operational objectives are at stake. Use the minimum force needed to achieve the tactical objective, to avoid the common problems (for example, civilian casualties) created when too much firepower is deployed. Focus all military and civilian assets on a particular village, hamlet, neighborhood, or other sub-division of the current enclave. Use intelligence assets (mostly human) to identify both the military and political arms of the guerrilla movement. Gradually encourage guerrillas or their supporters to defect. Otherwise, capture or kill guerrillas. Keep tight control over police, regular military, and paramilitary forces, to avoid abuses, atrocities, corruption, and other problems beyond the purely military task of shooting their weapons. Give tactical responsibility to the allied regime's civilian and military leaders, whenever possible. Technical Develop and deploy the technology necessary to win military objectives. Design this technology to be usable in any environmental condition (different kinds of terrain, night-fighting, etc.) and any tactical scenario. Design the technology and methods needed to win political objectives, to which military objectives are subordinate. Deploy general-purpose military tools where needed (the exception). Re-shape all other tools to fit the politics, culture, language, and local conditions of the conflict (the rule). The real challenge of counterinsurgency isn't understanding this strategic framework. In fact, each generation of counterinsurgency practitioners and scholars, grappling with the latest round of revolutionary conflicts, re-discover its basic principles. The hard work begins when you apply this approach a particular conflict. Crafting the methods that work for this conflict, in this country, at this point in history demands far more skill and expertise than reading the best book available on general counterinsurgency strategy. However, if you don't fully understand these strategic essentials, you will likely be very busy doing all the wrong things. This picture of counterinsurgency suggests the "gentle" variety, used successfully in Malaya, the Philippines, and other places. It does not suggest the "brutal" variety, in which the government uses overwhelming force and repressive measures to crush the armed resistance. While you can argue against the brutal approach on moral grounds alone, it is also not effective in the long term. Repression, which smothers any political resistance, creates a temporary illusion of calm and control. Rather than creating permanent political institutions, perceived to be legitimate, it hides resentments against the regime, where they multiply with each new act of repression. When someone finally lifts the blanket that had been concealing these antipathies, whatever bursts forth is usually a lot more destructive than what could have been achieved through more human measures. To make the case against the brutal approach, we might look to the most extreme example of it. Soviet totalitarian, as Stalin perfected it, killed more of its own citizens, enslaved more populations, and extended the steel tentacles of repression into more aspects of daily life than perhaps any tyranny in history. It fought many battles against separatist movements in the Baltic States, the Ukraine, and the Caucasus region. The Stalinist regime survived and seemed to prosper, but the totalitarian mask hid the decay slowly consuming the political order. Eventually, the system collapsed in a remarkable way: the simultaneous, peaceful secession of over a dozen different nationalities, none of which wanted to be part of the Russian empire or the Soviet Union in the first place. The notable exceptions—the violence that the Soviet Army unsuccessfully used against the Lithuanians when they made their desire to secede clear, the ongoing separatist movements fought by Chechens and other Caucasian ethnic groups—only make the quiet death of the Soviet Union that much more remarkable. The vast majority of former Soviet citizens,Russians and non-Russians alike, agreed that the Soviet system needed to be taken off life-support. In contrast, the United States, which significantly re-designed its political institutions as soon as it won its independence from the British Empire, has endured through centuries of internal wars (the Civil War and the Indian Wars), economic upheaval, world wars, waves of immigration, constitutional crises, and other wrenching changes that neither sundered the nation nor deposed its government. Except for the Civil War, the allegiance of Americans to their government was never in doubt. In the end, even the secessionists in the South begrudgingly accepted the Union's forceful re-assertion of national unity. In contrast, the Soviet system only ran as long as someone was willing to staff the gulags and the firing squads. The good news is, key elements of the US government—the Defense Department, the State Department, and the CIA most prominently—have taken great pains to ensure that the lessons of past counterinsurgency wars would not be lost. 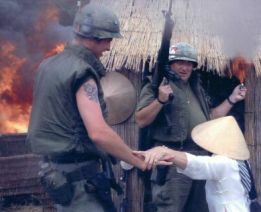 In spite of the Vietnam stigma, many people in government service worked hard to bring the wars the US government prepares to fight in better alignment with the wars the United States actually fights. This arduous effort often cost the parties involved important career opportunities. For example, the US advisors deployed to El Salvador in the 1980s—an unimportant backwater, from the viewpoint of the US military's mainstream—understood that time spent in the Salvadoran MILGROUP represented time not spent in career-enhancing battalion commands, Pentagon rotations, or NATO staff assignments. However, many of them volunteered for El Salvador because of their dedication to bringing a bloody chapter of Central American history to a merciful close. The bad news is, the Bush Administration's strategy for the Iraq invasion and occupation rendered most of this institutional memory meaningless. Rather than plan to help Iraq through the societal transformations that needed to happen after the invasion, the Bush team—most significantly, Secretary of Defense Donald Rumsfeld—focused on the conventional military operations of the invasion itself. Rather than pursue a counterinsurgency strategy that emphasized "population security, the US military chased insurgent formations across an increasingly insecure landscape. Rather than shifting operational and tactical responsibility to Iraqi security forces, the US occupation authorities disbanded the Iraqi military, leaving the US, British, and other allied units with primary responsibility for police and military operations. The US effort did not focus on building safe enclaves, intelligence networks, effective local governmental, civil affairs projects that weren't destroyed almost as soon as they were completed, and other techniques for separating the insurgents from the population. Instead, US decision-makers made the first mistake of generations of counterinsurgency campaigns past: seeking victory through killing or capturing as many guerrillas as possible. Rather than limiting the amount of firepower, top US officials gave local commanders latitude to use close air support, artillery bombardments, and armored assaults in populated areas. Predictably, American leaders grew frustrated as violence spread, the Iraqi security forces proved to be unready and unreliable, and the political initiative quickly slipped away. With the U.S. Army and its leaders entrenched in an organizational culture that accepted military victory through annihilation as the only way to win a war, it is not surprising that the five British colonial civil servants and senior policemen comprising the British Advisory Mission (BRIAM) from 16 September 1962 through 31 March 1965 were in their turn ignored. BRIAM was Britain's answer to repeated American requests for its assistance in the fight against the Viet Cong; Sir Robert Thompson, who led the mission, had played a large role in the Malayan Emergency, serving as minister of defense in Malaya after independence. Thompson was unable to prevail with his view that the Ameircan focus on firepower and military solutions to political problems was counterproductive and that population control strategies such as those that had worked in Malaya would be more effective. The conclusions of the study were striking; it repudiated the army's current emphasis on search-and-destroy operations and urged a move toward pacification through winning over the population to the government's cause. Most notable is the lack of enthusiasm for fals optimism as practiced by MACV [the theater headquarters for American ground forces]. A senior British officer has written a scathing critique of the U.S. Army and its performance in Iraq, accusing it of cultural ignorance, moralistic self-righteousness, unproductive micromanagement and unwarranted optimism there. If that frightening echo of failures past is not enough to demonstrate that something is seriously wrong with the US strategy in Iraq, I'm not sure what else would convince you. It's not too late for American officials to change course. However, time is an important factor in counterinsurgency, which for a great power has to take into account the politics in both a foreign country and your own. 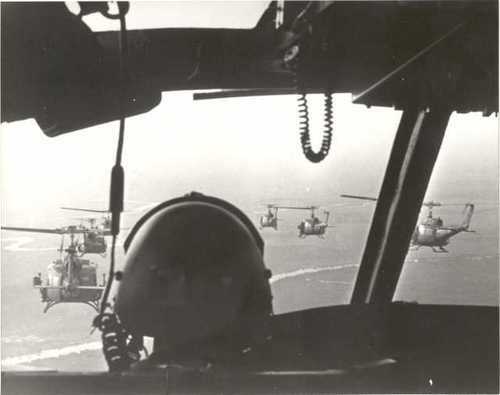 By 1968, American civilian and military leaders were hurriedly correcting past mistakes, but it was too late for the Vietnam War effort overall. The American public's patience with an indefinite war of dubious strategic merit had run out, just as some of these reforms were reaping their first dividends. hey, i was just wondering, i noticed that u did a good job by summarising the difference between the conventional and counterinsurgency warfare, did u make the table on ur own or u just quoted them from a source, say (for example), Luttwakk "Strategy." I am currently writing a paper about counterinsurgency warfare and i found that ur table has been a great help. I was wondering if i could cite it, with ur consent of course. Thank you. i noticed that u did a good job by summarising the difference between the conventional and counterinsurgency warfare, did u make the table on ur own or u just quoted them from a source, say (for example), Luttwakk "Strategy."